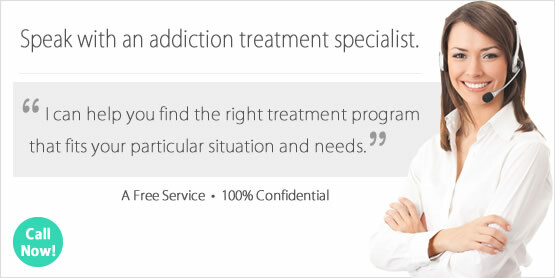 Looking for a Drug Rehab or Alcohol Rehabilitation Center in Minnesota? There are many people in Minnesota looking for answer for a drug or alcohol problem, and some even need help with a poly-drug abuse problem or a co-occurring mental health disorder. In Minnesota, there are answer to all of these issues including very moderate levels of treatment to the most comprehensive treatment programs. So the first thing to do if you are struggling with substance abuse is to speak with a drug treatment counselor so that they can help assess which drug rehab program is right for you, based on an evaluation of your drug history and other factors. Being in the drug rehab program that best suits each client is what helps make rehab worth it, and not being the right rehab that correctly matches a client's treatment needs is what will set them up for relapse. So speak with a drug counselor today to see which program is right for you. In a single-day count in 2013, 18,034 individuals in Minnesota were enrolled in some type of substance use treatment, which was an increase from 14,074 individuals in 2009. That year, 36.6% were in treatment for drug use only, 17.8% were in treatment for alcohol use only, and 45.5% were in treatment for both drug and alcohol use. So nearly half of the treatment clients in Minnesota have both an alcohol and drug problem, which typically requires very aggressive treatment to resolve. Statistics among these treatment admissions that the two main drug problem beyond this in Minnesota are amphetamines and opiates. Nearly 17% of treatment admission are addicted to amphetamines, such as methamphetamine and/or crystal meth, and nearly 20% reports opiate dependence to either heroin or prescription pain killers. In Minnesota, about 318,000 individuals aged 12 or older are dependent on or have abused alcohol within the past year. Unfortunately, only about 6% of these residents received treatment for their alcohol problem which highlights the fact that the alcohol problem is often regarded as one which is acceptable and the norm. It isn't of course, which is why early intervention is essential and why loved ones and friends must be vigilant in spotting such a problem and helping someone get help in alcohol treatment when they need it. Because nearly half of residents with an alcohol problem in Minnesota also have a drug problem, treatment must be very comprehensive and aggressive, and in most cases residents who are in this type of serious situation should seek the more intensive and integrated treatment that only a residential or inpatient facility can provide in the state. There are over 350 drug rehab programs total in Minnesota. Out of the programs available there are around 282 outpatient drug rehabs, 132 non-hospital residential facilities, and 4 hospital inpatient programs. The choices in regards to outpatient services include either regular or intensive treatment, 59 day-treatment/partial hospitalization facilities, and 23 facilities which only provide opiate maintenance services. Opiate dependent clients may choose to not receive any actual treatment, but to be administered a daily dose of prescription opiates to stop cravings and withdrawal as a solution to their problem. So the 23 facilities in the state which deliver opiate maintenance services deliver administer these drugs daily to nearly 5,000 outpatient clients, making up a 1/3 of the total clients participating in outpatient treatment in the state. Inpatient and residential treatment provide an alternative to opiate maintenance therapy in many cases, so that individuals don't have to be burdened by the daily logistical and financial attachments associated with opiate maintenance therapy. Treatment facilities which offer inpatient and residential treatment are the best option for individuals struggling with chronic long term drug problems in general. What does Inpatient Rehab in Minnesota Involve? Most of the alternatives to outpatient in Minnesota are non-hospital residential drug rehab programs, although there are a few proper inpatient options in the state. One of the pluses in Minnesota, because this is not as common in other states, is the number of long-term facilities which provide treatment for longer than the typical 30-day short term programs. There are far more long term programs in the state, and these facilities provide a comprehensive treatment plan that engages clients in treatment anywhere from 60-120 days on average. This gives addicted residents much more time to realistically address every aspect of their life and their substance abuse problem so that they can have the best chance at staying clean. Treatment professionals can also take the time and utilize resources which may not be available in an outpatient facility to also address any co-occurring issue, after an assessment of the client's current physical and mental health status. Clients will typically engage in different types of substance abuse counseling and actions to address a co-occurring mental health disorder if this exists. What does Outpatient Rehab in Minnesota Involve? Regular outpatient treatment in Minnesota is typically an one day per week commitment where services include substance abuse counselling and therapy. Intensive outpatient is usually 3 days per week for the entire day, and there are 210 facilities in the state which provide intensive outpatient services. There are also 59 facilities in Minnesota which provide even more intensive day treatment/partial hospitalization services, which often includes more intensive and specific treatment for addicted individuals who also need to address a co-occurring mental health disorder or other underlying condition. In outpatient treatment in Minnesota, clients can expect to participate in both group and individual counseling, although some programs do also integrate family, and marital/couples counseling into the treatment process.